With a good bottle of sparkling wine and a great dose of joy and happiness. Just absolutely love the colors on this wonderful autumn day in Rome. Such a nice warm feel to it. 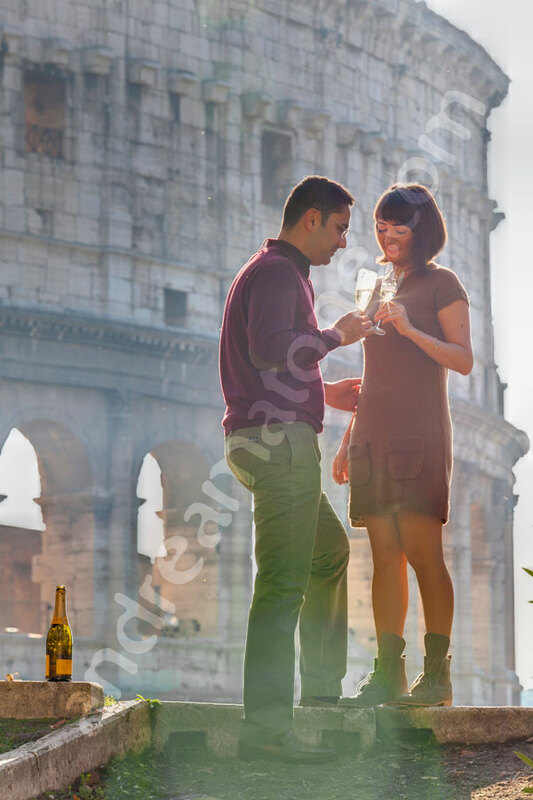 Which began with a special honeymoon toast photographed in front of the Coliseum. I didn’t get wet from the wine explosion as I wasn’t that close! After a pleasant walk around the Colosseum, we waited for the car to arrive which swiftly took us to Fontana di Trevi with it ever splendid beauty. Then down Via del Corso and reaching the breathtaking Piazza di Spagna. With the very beautiful fountain at the very bottom of the steps that lead to Church Trinita’ dei Monti. 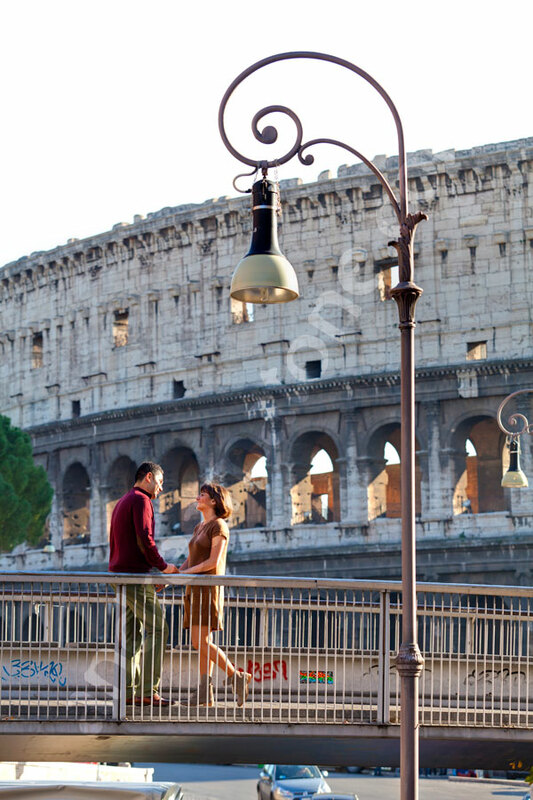 With a beautiful view over the roman rooftops. Then Parco del Pincio with another really great view of the city. 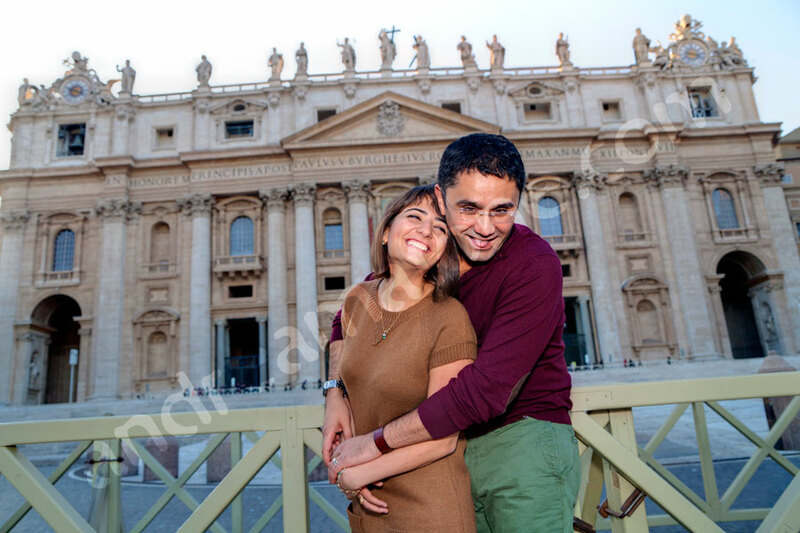 A quick drive to Saint Peter’s square in the Vatican and the Gianicolo fountain where a photo session ended. Some really great opportunities to take wonderful pictures in some very remarkable locations. Thank you for the wonderful time and wish you the very best! 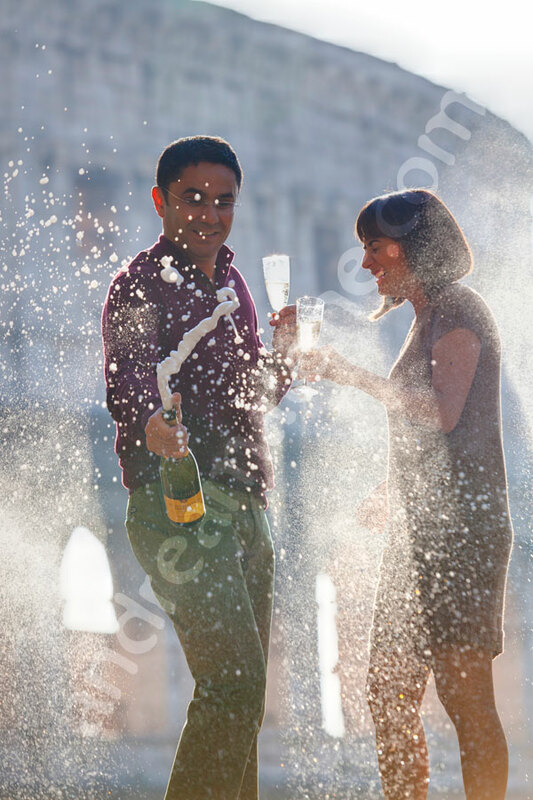 A fantastic day to toast a great wedding during a beautiful honeymoon in the city of Rome. Together with a professional photographer taking pictures of their stay.